A new design and color combination by Cantucci. 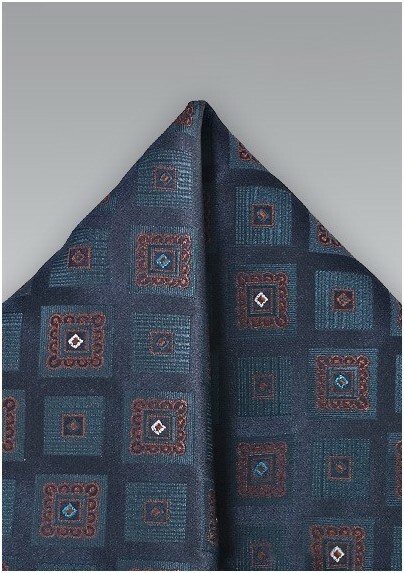 The bronze brown foulard pattern is woven into a sapphire blue background featuring a subtle check pattern. 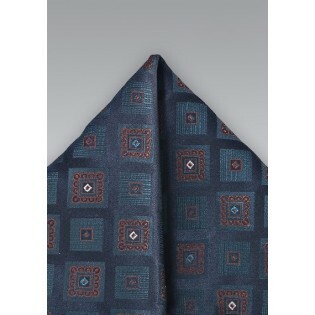 It is a perfect piece for all your navy, tan, and brown hued suits. Made by hand with hand rolled edges. Looking for the matching bow tie or necktie? Then please see the links below.